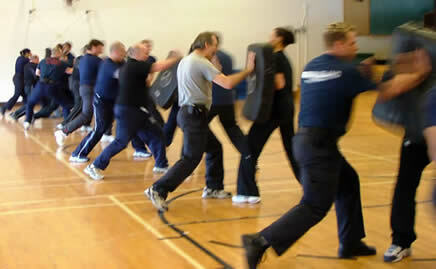 The Clamp course uses one's physical control technique for a wide variety of situations. It is easy to learn and to apply. It is a mechanical technique versus a purely pain compliant technique. It uses two hands against one, two muscles against one. The technique can be applied from relatively any position to the subject.